The 1968 model is part of the Camaro’s crucial first generation. Chevrolet offered the 1968 Camaro with SS (Super Sport) performance options and RS (Rally Sport) cosmetic options. Buyers could purchase both options to create a Camaro RS/SS. This car has both options. Rally Sport cosmetic options had hidden headlights, modified tail lights and upgraded exterior trim. They also added chrome “RS” badges to the exterior and interior. 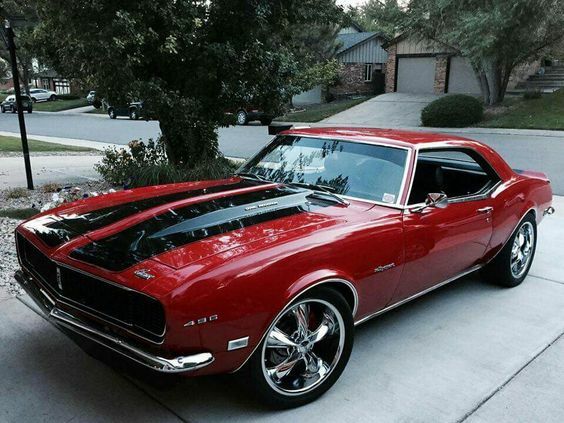 The RS was the most popular Camaro package in 1968. The Super Sport package included performance upgrades such as the 5.7 liter eight-cylinder engine with a 6.5 liter big-block. The SS badging was put on the grille, horn button, and gas cap. Front hood, non-functional air-inlets were also added in the SS package.